And some women too. Certainly, we venture to suggest, the last could be said to be true of Miss Kate Middleton who, as the world now knows, will this coming Friday be married to His Royal Highness Prince William Arthur Philip Louis of Wales, Royal Knight Companion of the Most Noble Order of the Garter, Master of Arts. We, along with their 1,900 friends, to include, we are informed, Miss Middleton's butcher and postman, several fellow Knights of the Garter, some few remaining crowned heads of Europe, and numerous 'celebrities', wish them well. Now, had it not been for a surprise parcel, beautifully packaged, delivered to our door here in Budapest this morning, that, in all probability, would have been that. But dear friends Simon and Stephen, so recently house guests, and clearly having spotted, and doubtless admired, our collection of Royal memorabilia have, most generously and thoughtfully, added to what undoubtedly will become the heirlooms of tomorrow. It may not be the most traditional of souvenirs, it may not contain the most flattering of portraits, it may not fully display the Imperial crown, nor even show sight of the Union Jack, but it is definitely different and for that we love it. And so on Friday as Britain's longest running soap opera rolls out yet another extended episode for the public's delectation we shall, a thousand miles away, charge our glasses and raise a toast to our adopted country: the Republic of Hungary. To you too! Happy Days! I am still trying to figure out what time the Wedding in London will be in Buenos Aires ! The cup: "Mad in England" oh I do love that! Great souvenirs! Our press is making a big hoop-la over it all. I tend to forget until I click the TV on. That being said, I share your sentiment for wishing them well (although the wedding hour for us is, I think, around 3 a.m.- so the toast will have to wait. To echo Cro, "Cheers!" Commemorative china, tea towels, etc., are wonderful tributes, in theory anyway. It is unfortunate that all the products do not have good graphic qualities, however. Wouldn't it be a delightful surprise to have chic items specially designed by Timney-Fowler, Paul Smith, or Liberty? Now that is something of a conundrum. To sleep or not to sleep. We think that if we were you, then we should just wait until the morning. There are bound to be repeats! Yes, isn't the Mad in England wonderful?!! What else is printed on the side of the mug we dare not show. But, most likely, you can guess the gist! Mass adoration has, we suspect, to come cheaply or it will not come at all. This particular piece was in fact made as a protest for the ordering of a 16,000 piece dinner service for the Royal Wedding from a factory in China. My dears, oh dear...spelling all over the place. They could have sent it to my auntie and she would have spell checked it for them for nothing. They probably were thinking about "Mad Dog and Englishman" song when they were printing it on the cup. But I suppose the thoughts that count! What a charming collection you have. It is sweet of your friends to send a Royal memorabillia so that you are not missing out on the special occasion. How very thoughtful. Lovely mug, super gift, I'll be sharing a drink and watching it take place. Love the notion of it being the longest running soap, with a special episode, which in truth it is. What a lively and interesting blog you have. I'm so glad to have stopped over. I shall return frequently. Wonderful! I'm determined to pick up some wedding memorabilia when we pass through Heathrow next month. The kitschier the better. We are certain that Aunt Maisie would have had that anarchist symbol off the side of the mug in no time and, most likely, painted in a Union Jack in its place. But that's a Royalist for you!! We think that friends, Simon and Stephen, know only too well where we stand on matters Royal! Carrie Reichardt's work was, until recently, on show at Ink'd, Brighton where, we understand, it caused something of a stir. For her, all art is political, which makes what she does of interest. We are delighted you found our blog of interest, as we have yours, and hope to welcome you as a Follower one day. We are fairly certain that you will not have any difficulty in picking up some kitsch Royal Wedding memorabilia next month or, indeed, the month after that. The problem arises if you are looking for something stylish and collectable. But then, who would be?!! I love your collection too bad that the newest cup/mug is a joke/protest ? but on it's own in a way it is a sellout to what she was protesting. I wonder where they were printed and what is done with the money made. But if you enjoy the joke then all is good, no ? Thank you so much. Yes, the collection is quite fun but not, in our view, to be taken too seriously. The new mug will fit in really nicely and we are delighted to have something by Carrie Reichardt who is a highly regarded, political artist. Actually, made in England, we understand. Thank you Jane and Lance for your recent comments on my blog. I see we have a passion for lilacs! I gathered another armful today from the mass of blooms whilst on my walk around the fields. Nature's bounty! I've just had a look around your wonderful blog and look forward to following your adventures home and abroad! I miss King Zog - if only for his name. We are delighted to welcome you as a Follower as we so enjoyed reading your posts too! How wonderful to collect your Lilac from the glorious countryside which surrounds you, and we do so hope that you were more successful in keeping yours alive than we were. The Albanian Royal Family is, we are happy to say, a little before our time. However, we are familiar with the Zogist salute which we send to you now!! Mad dogs englishmen and pencils neatly presented and facing towards the west... what a lovely sentiment! And know a splendid 'Mug' to position some others. A fantastic heirloom for any self respecting 'Mad Boy'. I might add it also might work as a toothbrush holder...etc.. 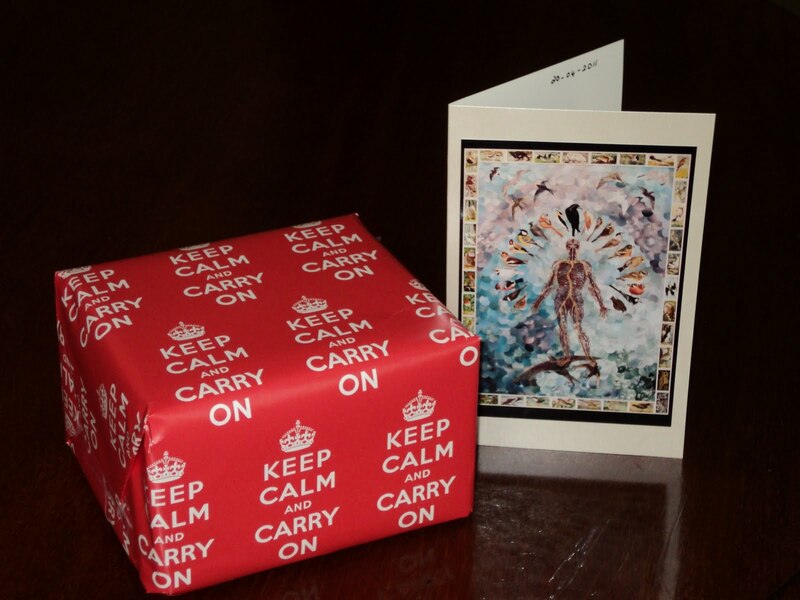 Here's hoping the beautiful fine bone gift lives up to its fine english craftsmanship. More sharpened pencils at the ready please. Well spotted, Coulter. Fine china indeed but from Blighty not deepest Asia. We loved your comment about the sharpened pencils, and, yes, they are always to be found pointing westwards as far as we are concerned. Do you really think a 'Mad Boy' might be attracted to such memorabilia? In which case, we must stack up on the Wills and Kate ornaments in readiness! It seems to be a general "disease" this "mispellitis". Unless of course the "Mad in England" has something to do with mad cows? I am not at all bothered about the Wills'n'Kate saga; long may they stay together; they'll have no need to fall out over the CDs and who gets to keep the cat, so divorce will be no fun at all. What I really came over for (from Mollygolver, who's a game old girl, I've met her), is your wonderful profile. I love it and what you don't do. You'll see me here again. We are afraid to admit that, in this case, as you observe, the misspelling is deliberate. The mug, a limited edition, is the work of the political artist, Carrie Reichardt. A kindred spirit - how wonderful! Let them indeed live happily ever after because we could not bear to think of the cat torn between two homes! And thank you for such kind words. We have just returned from your wonderfully diverse blog which, for us, proved to be a must. We do so hope that we shall see you here again before too long. 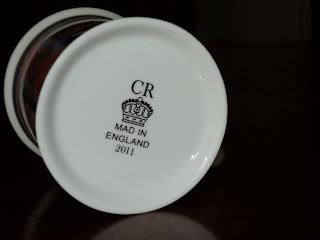 Oh I LOVE your Mad in England cup. Fantastic. So happy to have found you. Interesting cosmopolitan perspectives and what a fascinating connection to the royal wedding. I love it! I almost (almost) wish I was there, but I definitely wish I had one of those little tea cosys featured on Super Dilettante's blog. I hope they will have those around my next visit to Ltown. Your life! I love hearing about it! We are so pleased that you like the 'Mad Mug'. It is great fun and makes a highly original souvenir of the forthcoming Royal Wedding. Which is about as far as we shall get! The mug is a limited edition by the political, anarchist artist Carrie Reichardt whose work always stirs up controversy of one sort or another. Thank you for becoming a Follower of our blog. Thank you - most kind and generous. We think that only in your mind would you wish to be in the UK on Friday - the reality of it all will be too too dreadful! We expect the souvenirs to be around for a very long time to come! I took photographs of the cottages by House & Garden blog (I think they have it taken from Flickr). It is certain that only you follow my blog!!! amazing. I always ask myself what am I doing wrong? I think as a aesthetics and content is very interesting. But maybe it's just my opinion. It is not commercial, it is especially not published any personal photo, which attracts much public curiosity. Welcome, and thank you so much for becoming a Follower of our blog. As you will know, we do find your blog most interesting and very much enjoy what you publish. It is always difficult to know what will appeal to a wider readership and, in our opinion, it is always best to be true to yourself and publish what appeals to you, yourself, rather than to try to anticipate the wants of others. It may be helpful to attract readers that when they 'click' on your following picture, it directs them to 'Fancy Windows'. Mad dogs and Englishmen was a saying I had heard many times while growing up in Australia, especially when in 36 degree heat all would be gathered aroung a country church in the middle of a paddock, celebrating a wedding or a christening. Gentleman in suits and tie and ladies in hats and gloves! Love the mug! I have a small collection of royal memorabilia only from the not to be coronation of Edward VIII. It is amazing how the several designs (except forthe Sovereign's image) were re hashed for successive monarchs! How extraordinary - all that formality in all of that heat. 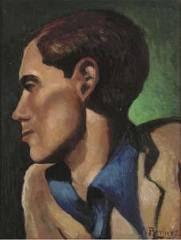 We understand that Lord Caernavon, exploring the pyramids during the 1920s, was never to be seen without suit and tie! We are pleased that you like the mugs which are, whatever, quite fun to collect. I keep reading your comments on other blogs and laughing. I adore your philosophy on life. How really kind and generous of you - we much appreciate it. But what, after all, are porters for? Every time I think of William and Kate, I tuck them into prayer for a long and happy marriage...together...and blessed with children and then grands to dandle upon their knees. Jane and Lance, your collection is marvelous! 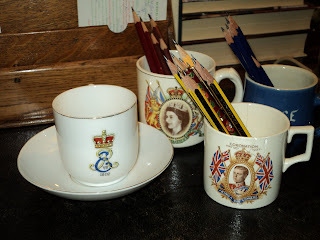 We really cannot claim to a 'collection' of Royal memorabilia as the items we show here are the sum total of it all and we really should not wish for more! We are so pleased to have discovered 'Chatelet' and do very much hope to see you here again. After a period of so much unhappiness and disquiet amongst the Royal Family, we, like you, can only trust for their future happiness. We do so hope that your friend Leslie is coping in what must be very dark days at present. She will, we are sure, be strengthened by your support. We always enjoy what you write for its interest and for the different perspective which you give. We are sure that your photographs will make splendid posts and will look forward to seeing the new blog. We are delighted that you like the mugs, et al. Thank you. Actually no, although it could well have been. We felt it necessary to turn the mug around to hide what might, by some, be thought to be unacceptable! Midge is know to few! A lovely blog! I too will not watch the royal wedding, I have infinitely more interesting things to do. Welcome! Welcome indeed! Your comment is so heartening. We will probably be washing our hair or watching paint dry! Thank you so much for becoming a Follower. If you have a blog of your own, please let us know. Have a wonderful time tomorrow and we do hope that the weather will be kind, especially over Putney. We have friends in Malbrook Road! I would like nothing more than to be completely frivolous and don my tiara, drink my tea and nibble on my scones, not leaving the couch until the whole fiasco is over..... isn't that what a true American would do? I, however, have been blessed and am taking respite from my husband's care taking. I am off to a photography workshop. I have never done anything like this. I went from parenting my children to parenting my husband, so this is an amazing opportunity. I will be sure to tape the pre-wedding, wedding, post-wedding, and all things wedding, so that on my return, I will don my tiara..... well, you get the picture. Thank you so kindly for your lovely words to me so often on my blog. I, too, feel as though I have found a new friend, across the pond. Your comment here has delighted, amused and touched us very deeply. Discovering your blog, with its wide and varied interests, has given us so much pleasure and will, we know, continue so to do. As for the wedding, where did we put those tiaras? You have some lovely souvenirs there. I am really quite looking forward to the Royal Wedding, it is nice to experience some patriotism for a change. P.S. Never go to Skegness. I guarantee you will hate it. Thank you so much for the warning about Skegness. We had rather suspected that this might be so, but we do hope that you had an enjoyable time and that Izzy got to play on the beach. Enjoy tomorrow. No flags out here!! How really kind of you to take the trouble to give us this information. Thank you so much. Enjoy your day tomorrow. Hello! I'm glad you find some of my musings of interest! I do go on a bit don't I? I blog about my island trips and other travels as much for my benefit as for anyone who happens upon them. Lovely to look back on my memories. There's still a couple more "Road to the Isles" to come but I will interrupt the sequence slightly for the 'madness' tomorrow. Both your homes look very grand incidentally (if you don't mind me saying so!). One of our most cherished souvenirs is a Prince Charles and Lady Diana jigsaw puzzle in a tasteful tin box; the picture is of the royal couple around their engagement. It is a pleasure to follow your blog. My wife and I are looking forward to getting up at 5:30 tomorrow morning to view the pomp and tradition. We are much enjoying travelling with you on your journey to the islands and do agree that it will be a wonderful record to look back on in years to come. Yes, we do agree that tomorrow's 'madness' is probably not a good moment to pick for a further posting of your travels. But something to look forward to. Your comment about the apartments is most kind. The wedding of the Prince of Wales with Lady Diana Spencer was, most likely,an occasion which few will forget. How nice that you have a souvenir of that day which also serves not just as a reminder but as a game too. We love jigsaws! We are so pleased that you like the blog and hope you will have a really happy day tomorrow. We think that you should think very carefully indeed! After all, one can have too much of a good thing! There again, we are sure you would be able to weave one of your magical stories around it. How lovely! I do wish I'd bought the Charles and Diana mug I saw in a junk shop years ago! I've got the champers on ice! I'll be watching, although on my lonesome, hubby watching his in the next room! Ah, an investment opportunity which has passed you by!! Have a wonderful day today and we do hope the two of you get to drink the champagne together! Yes, thank you, it is great fun and is now, since writing the post, employed as a pen holder!! :-) That was very kind of you! Hello! Thanks for your comments just the same! London had 800 applications to host street parties to celerbrate "the wedding" apparently. In Glasgow the City Council received ONE! Speak volumes....! Wonderful!! We are already planning our next move - to Glasgow! I have not been able to stop humming " Keep the red flag flying" all day. Now which of you is to blame? It is an Anarchist mug....did you realise? We hope that you still might like it and, wonder,perhaps, if you might wish to commission a similar one for Mr Berlusconi?!! Never mind the humming....are you Following?!! We cannot somehow reconcile you as being a 'silent [or indeed faceless] Follower'. ...."and did those feet in Ancient time....."
Hi Jane and Lance, thanks for stopping over at my blog and becoming my latest followers. It's nice to find someone else who 'sings from the same hymn sheet' as me. They have been conspicuous in their absence on this side of the Channel! We were indeed so pleased to have come across a sympathetic voice and are thrilled that you are a Follower. We deliberately planned to be out of the country for the event but even in Budapest 'that wedding' has been playing non-stop for the past week. But, as we do not have a television we have been spared the full works!! Tacky knows no borders! Isn't that grand? It is the nature of humans to collect and commemorate, don't you think? I suspect the first cave paintings were not attempts at great art but actually rudimentary tabloid journalism and if you look on early clay pots and cups you will see the faces of the 'it' couples etched on them as they were the first souvenirs. Your guest was so kind to add to your future heirloom collection and you were kind to share it with us. it was magical - the royal wedding. You are so right about collecting and also what you say here about early tabloid journalism. The world does not change - at least not much! Well your images were certainly magical. That's as far as it goes for us. 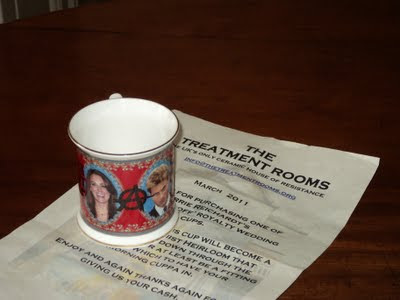 'Thrust upon her', and that cup, very funny! We thought this absolutely amazing and so very, very funny. We have no idea how you managed this link but we shall treasure it!! Thank you so much. We felt it unwise at the time to share the full text on the mug. Giggle, loved this post and remembering the Big Day which I enjoyed over here in Ireland, watching the telly, drinking pink champagne, eating cucumber sandwiches and finishing off with trifle (all on my own I might add). Mad in England - excellent. Gosh, you really did celebrate in style. We tried to avoid it all completely but even here in Hungary it was impossible to avoid!! We liked the 'Mad in England' logo too! !